Heated Eco-Glass is the up-to-date development with unique characteristics that permits to create comfortable conditions and optimal microclimate both in the living quarters and working space. This product enables to exclude heat losses and harmoniously supplement a modern interior appearance. • Main or additional heating • Absence of “cold window effect"
• Reliability. Glass with heating has the increased strength. It remain intact even in heating up to 300 degrees and withstand voltage variations up to 400 V.
• Wear resistance. Product does not change its qualitative characteristics under the effect of negative environmental factors. Glass with heating can be used at the temperature from -50 to +100 degrees. The product will operate effectively even in penetration of cold water on the heated surface. The glass can be damaged only in case of applying very great efforts. • A possibility of use as the source of heating. Due to the presence of special current-conducting coating, a uniform heating of glass surface is provided. It permits to use it as the additional and as basic source of heat. • Versatility. Installation of warm glass ECO-GLASS is justified not only in the flats and working premises. It can be also used for heating of balconies, loggias, winter gardens or greenhouses. Due to the economic power consumption, such glasses find a wide application in the installation of windows, doors and partitions with heating in the insufficiently winterized premises. • Absence of condensate. Installation of the glass with electric heating will allow forget about the problem of condensate appearance. A current-conducting layer ensures the maintenance of optimal temperature of surface. Due to this, a probability of condensate formation is reduced to zero. Production of glass with heating – one of the key directions of «EKOSTAR» company activities. Applying to us, you can order this unique product under profitable conditions with a quality guarantee. We perform a manufacture of glass with electric heating independently that allows us to establish affordable prices for sold products. At customer’s option, our partners will fulfill a professional mounting of the product. Clients of our company can order a heated ECO-GLASS with delivery. Have you got interested in this offer? Click here! In order to get more information of the advantages and possibilities of application of the glass with heating ECO-GLASS, you can by having applied to our specialists by phone. Heating. Justifying its name, multiple glazed units with heating can play a role of additional source of heat and as the main heating of premises of any purpose and area. Economy of electric power. It is quite obvious that the energy-saving glass is supplied with electric power. But energy-saving double-glazing units are called energy-saving not for nothing: they cut off a stream of cold air from the window and so minimize heat losses that has a positive effect on the cost of heating. Anti-icing. Thermo-double-glazing units are heated, increase the temperature of window wing and casement itself so that the snow and ice crust have no chances, melting occurs along the entire perimeter of the window surface. A change of usual glass in the double-pane unit for energy-saving one will permit to solve this task in maximally effective way without any efforts on the part of man. Absence of condensate. Is the glass in runs from condensate due to the difference of temperatures inside and outside? Forget about this. The temperature on the surface of glass ECO-GLASS is higher of a dew point therefore a condensate formation is excluded. All due to the peculiar technology of double-pane unit production, that resembles a Jeweler’s art. Selectivity. No worries here that in winter you will have to keep the energy-saving double-glazing units switched on round-the-clock. They, even in the switched-off condition, will be able to maintain optimal microclimate, since they effectively reflect a heat back to the premise. This equalization acts in the reverse direction in the summer period: special access is closed, the conditioner has a well-deserved “leave” and there is no hole in your budget called “costs for conditioning”. Anti-intrusion protection. Double-glazing units with heating have a specific multilayer structure that allows them to remain intact in case of damage of surface. Besides, in damage of glass, an alarm is generated due to the abrupt change of electric resistance. This permits to gain precious minutes before the aid will arrive. Anti-eavesdropping. So, this function is topical not for every city’s flat, but for offices of commercial organizations to buy a protection of similar level would not hurt. Energy-saving double-glazing units impede eavesdropping of the premises with the help of directed laser beam. Besides, the price in this case is not so high in comparison with the losses from leakage of confidential information. Modern architecture – it is a wonderful symbiosis of advanced building technologies, which open wide opportunities and esthetics of glass. Once, it was difficult to imagine, that such a union is possible (largely owing to the cost of materials) and the glass will become the prism through which a man will look at the world. But this has occurred and the tendency continues to gather its speed. Today, the glass with electric heating is in honor: it is widely used in double-glazing units for windows and as enclosure structures, and even as roofing in the arrangement of winter gardens. Professionals and simple everyman have identified the advantages of material and implicitly have given their preference to it. But we, keeping to the principle “there is no limit to perfection”, could bring all parameters of the glass with heating to the new level. So the energy-saving glass ECO-GLASS has appeared and won over the market. Production of double-glazing units of this type is based on the unique patented technology. 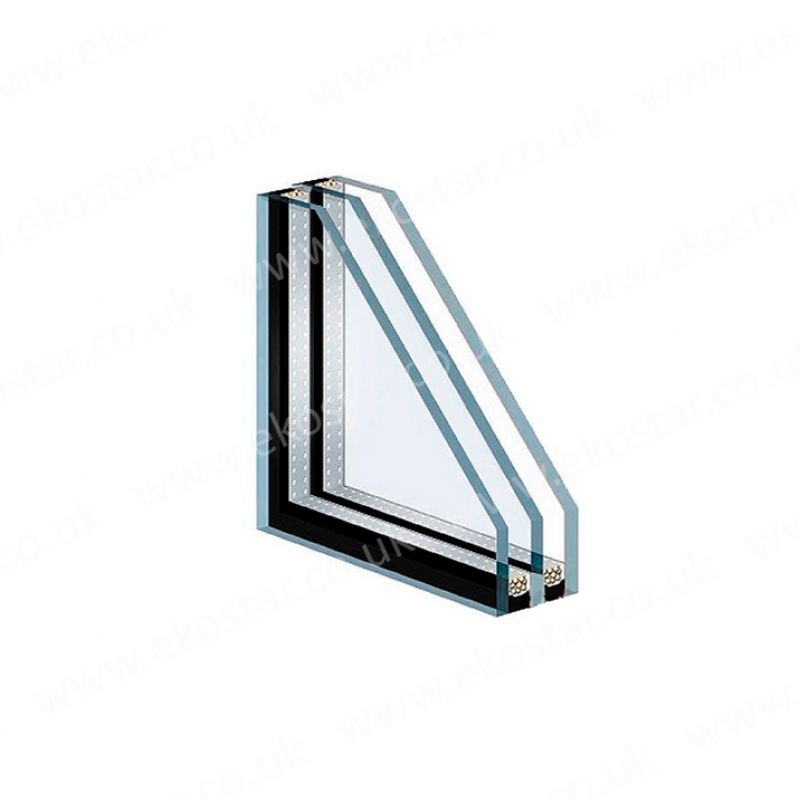 It allows create thermo-double-glazing units with unsurpassed characteristics.